For over 22 years, international sports sleep coach Nick Littlehales has worked with some of the world's most successful sports teams and athletes, using his renowned R90 technique to coach them into what he believes to be a more effective approach to sleep. With clients including Premier League football clubs, British Cycling, Team Sky Professional Cycling Team and GB Olympic Teams, Nick has worked tirelessly (excuse the pun) to help athletes redefine their approach to sleep. So what does the R90 technique involve? Nick's aim is to assist individuals in becoming more in tune with their cardiac rhythm (or body clock) as well as gaining a greater understanding of when they perform at their best – in the morning or at night. 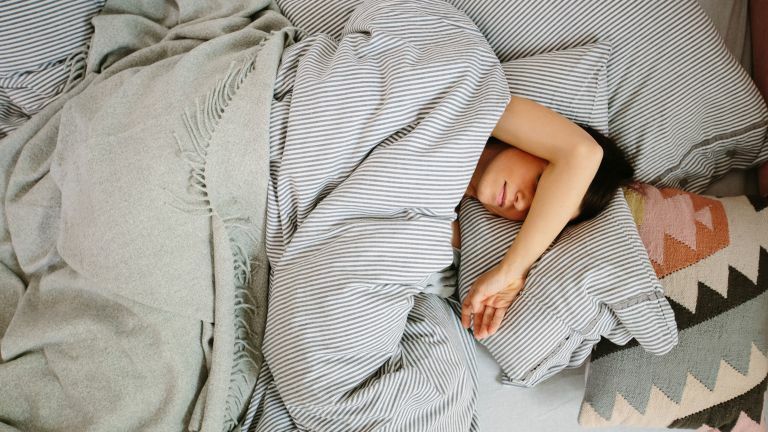 At the core of this technique is a move to encourage sleeping in 90 minute cycles, of which you should aim for between 28 and 35 cycles weekly. Nick advocates moving the emphasis from hours slept, to a new focus on the number of sleep cycles. In addition to this, he also suggests a 30 minute shorter controlled recovery period, or nap, to take advantage of the two natural recovery windows in the day – from 1pm to 3pm and 5pm to 7pm. What is the optimum sleep environment? In addition to focusing on sleep cycles, Nick emphasises the importance of optimising the sleep environment. This takes the form of a bedroom that's the right temperature – somewhere between 16 and 18 degrees – is free from artificial light and with bedding and a mattress that offer the right amount of comfort and support. Now this we can get on board with. Is there any bedding that complements the R90 sleep technique? The R90 Clusterfibre Pillow Pair – designed with alignment in mind, the R90 pillow pair ensures that the body remains in position throughout the night for a comfortable sleep. Breathable and hypo-allergenic, they're filled with fine microfibre clusters and covered in ultra-soft fabric for a supportive night's sleep. Full disclosure: we have tried these pillows and, although they need regular plumping, they are extremely comfortable; think marshmallows. The R90 All Seasons Microfibre Duvet – perfect for use all year around, the R90 duvet is comprised of two duvets (9.0 and 4.5 togs respectively) which can be joined together for the cooler months. Filled with long lasting Smartfil® fibres, this duvet is designed not to lose loft even following regular home washing. The R90 Clusterfibre Topper – constructed with individual cassette pockets deeply filled with luxurious microfibre clusters, the R90 topper provides extra support, loftiness and plumpness. A light cotton cover ensures breathability and freshness for enduring comfort.